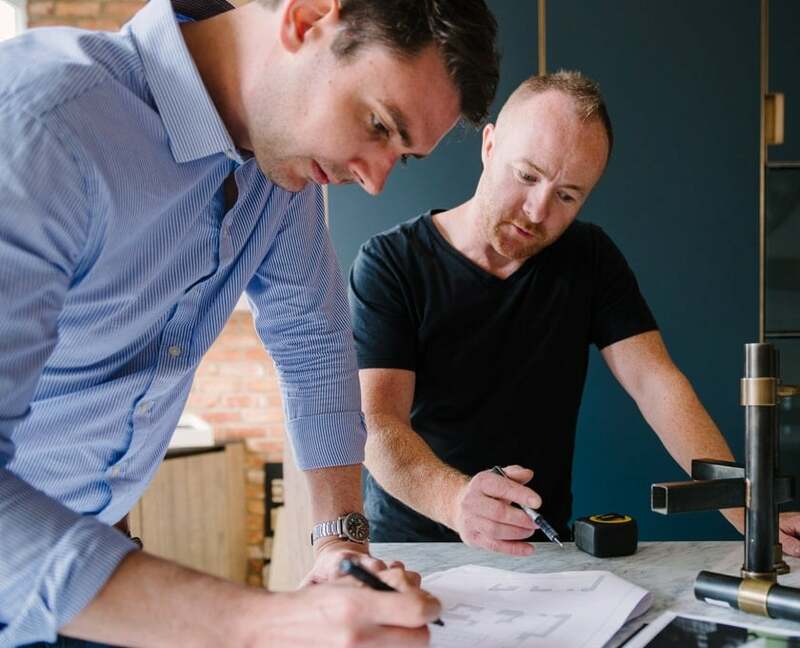 From taking an initial brief to commissioning the finished kitchen, our team of experienced designers, makers and fitters work together to ensure your kitchen is everything you had hoped for. 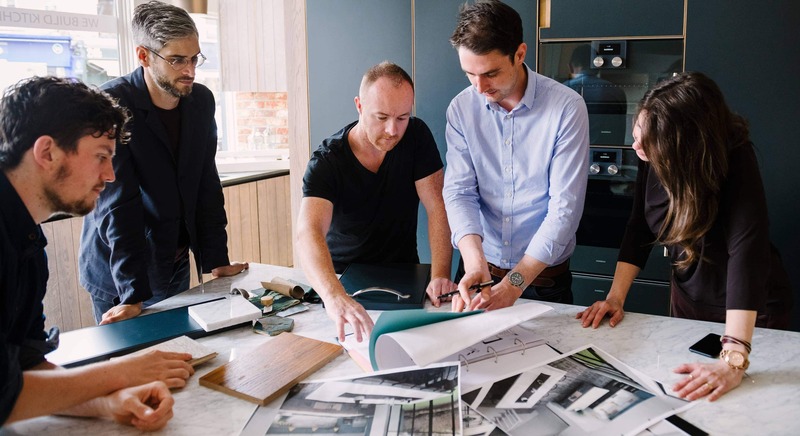 Our kitchen designers are experienced designers with degrees in architecture, product design, furniture design and interior design. 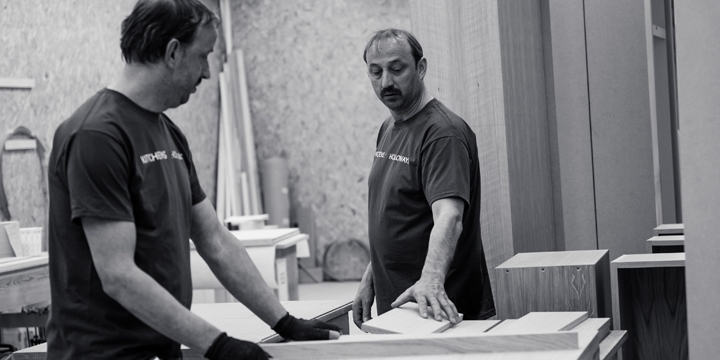 This is essential for our work, because designers require the technical abilities to create detailed drawings for the cabinet makers at our workshop. 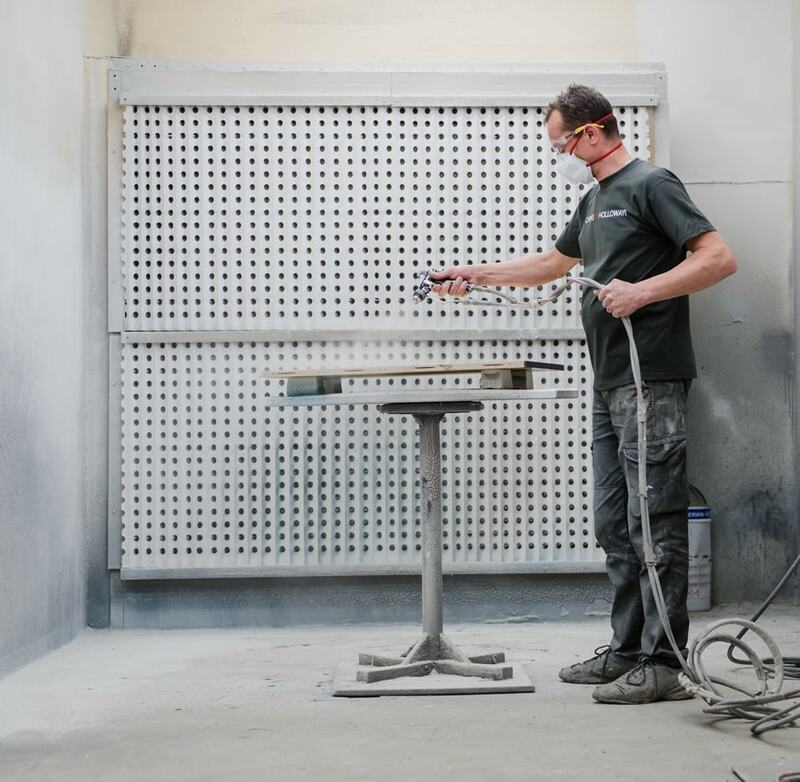 There are a huge variety of materials and finishes, available at our workshop, so understanding how and when to apply them, helping clients to visualise the outcomes, and making the right choices, takes many years of experience. 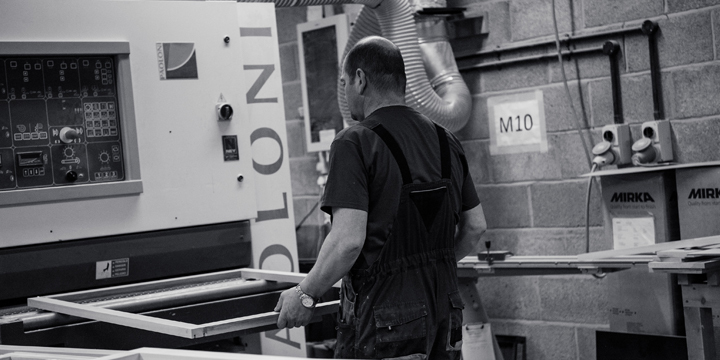 Our kitchens are made at our workshop in Shrewsbury. 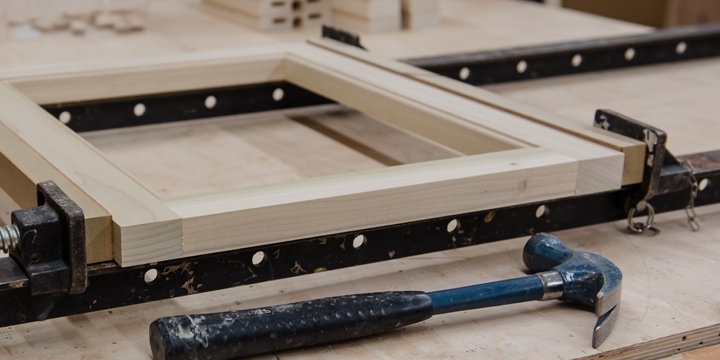 Most of our cabinet makers have worked with us since the company was founded in 2005. 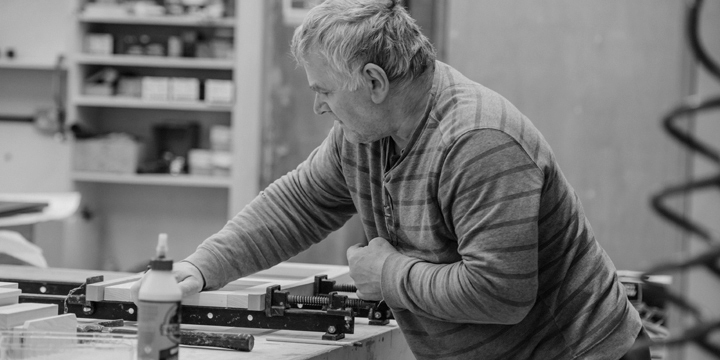 They are skilled and experienced furniture makers, able to cope with often quite complex and challenging designs created by our kitchen designers. 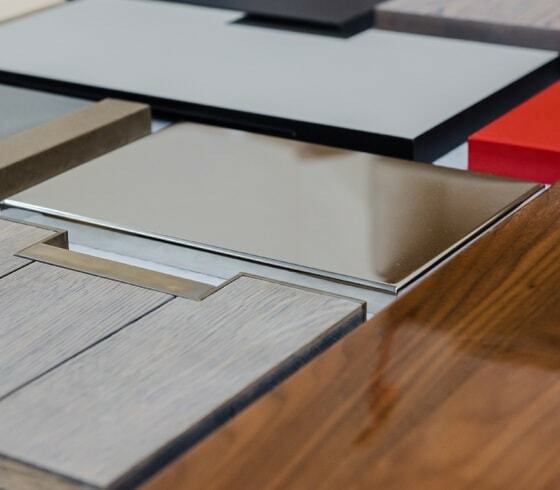 Much of our work is carried out for architects and interior designers, due to our experience in working with such a wide range of materials (e.g. 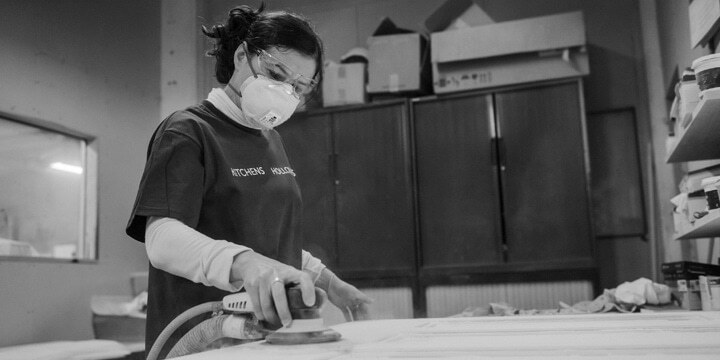 metals, glass, veneers, Corian, marquetry, stone etc), and finishes (e.g. lacquers, stains, waxes, metal FX, acids etc). 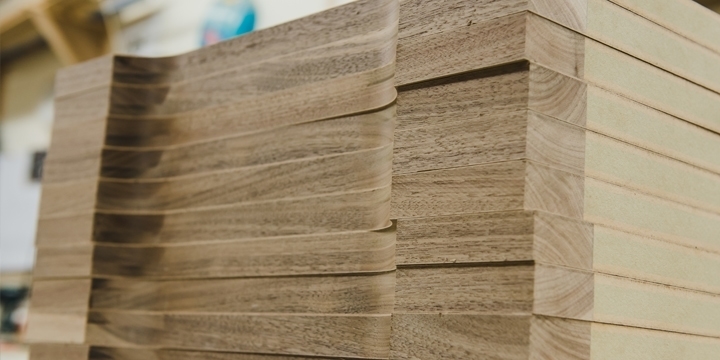 A cabinet maker may be making a highly glossed book-matched walnut veneered cabinet one day, and refurbishing an antique chest of drawers the next. 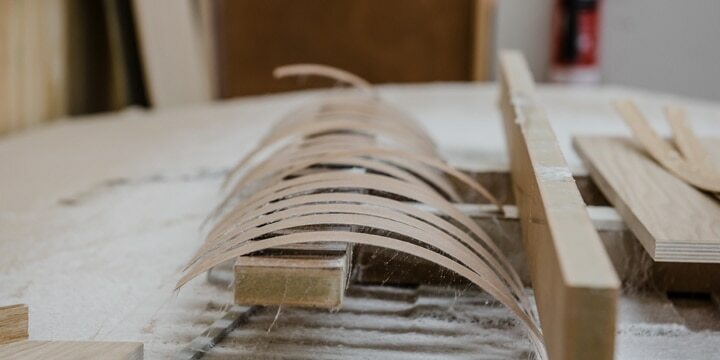 We still use many traditional techniques for making our cabinets, although our digital machinery is state of the art and accurate to 1/10th of a millimeter. 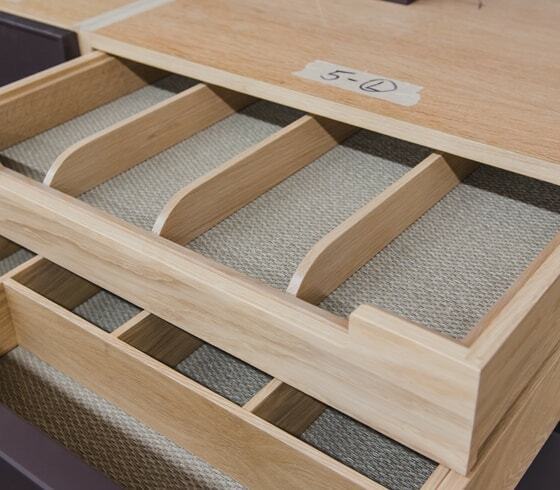 This ensures that our kitchens display crisp and even lines, whatever the style. We have a rigorous quality control process. 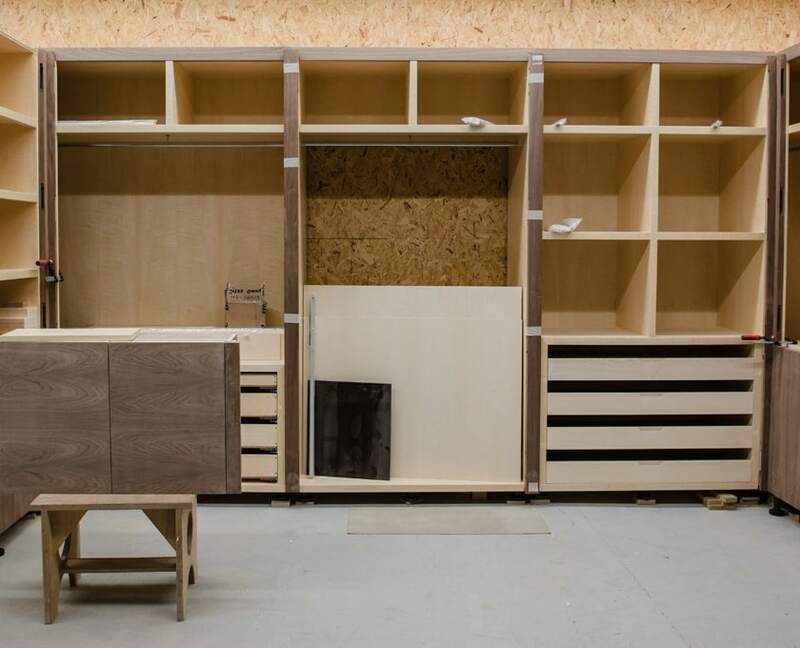 Each kitchen is put together at our workshop before being packed and wrapped for delivery, so that we can check it thoroughly before starting installation in a client’s home. 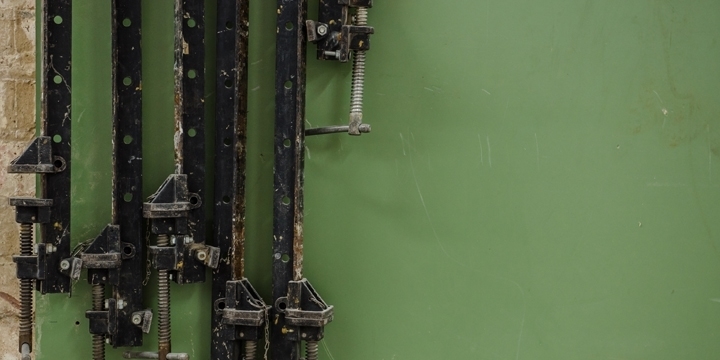 Clients are invited to our workshop to join us for this final inspection. 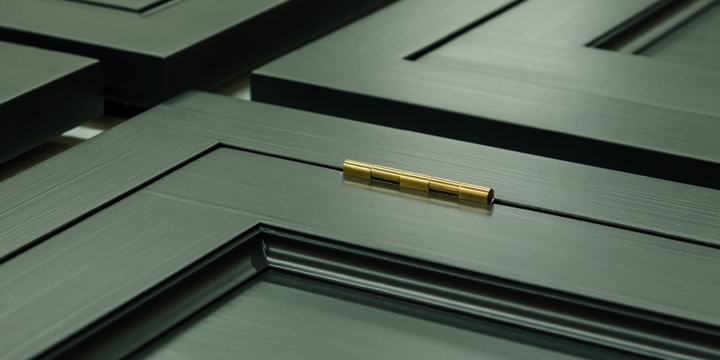 We continually experiment with, and develop, new finishes, new mechanisms, new material applications, and new manufacturing techniques, enabling us to offer innovative new designs for our kitchens and furniture. 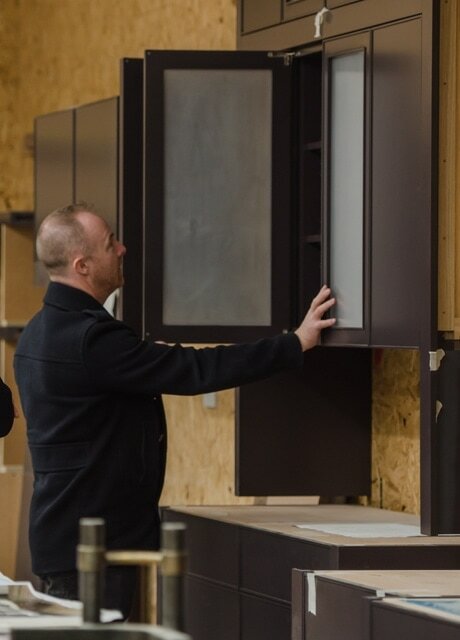 Our workshop produces full sized door samples for our bespoke kitchens, to help our designers and clients to visualise their final kitchen. 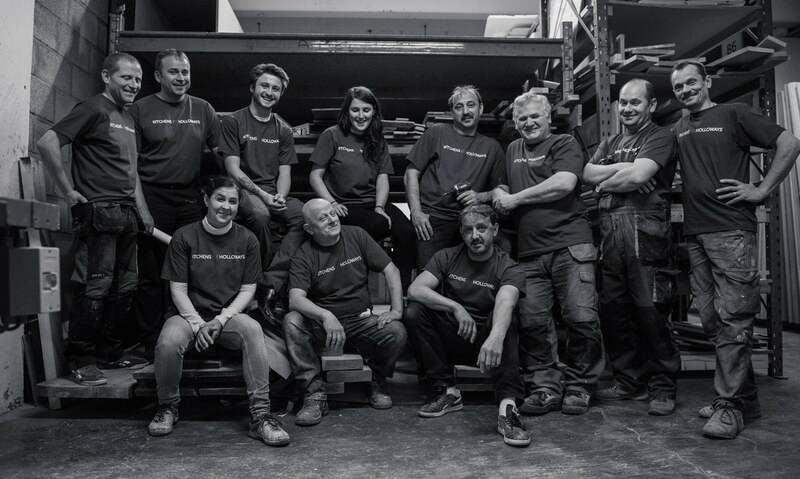 Paul Ryan, our installation manager, works alongside his team and our clients to ensure that when the kitchen arrives at your home it fits perfectly. Often, especially when there is building work to be done, our clients require some flexibility on their kitchen delivery. Our team tries to work around this. 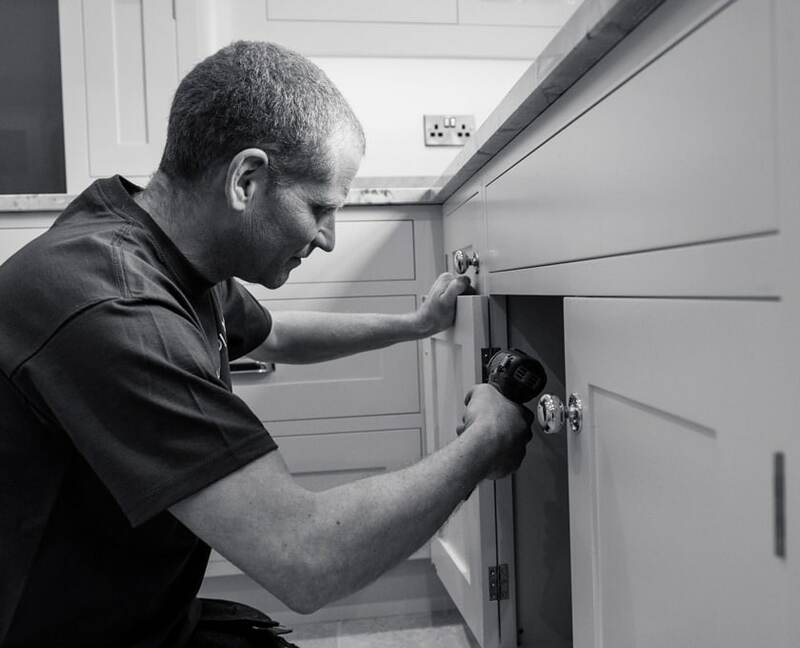 Paul and his team have vast experience in fitting kitchens and they manage the process from delivery to final handover as smoothly as possible.